This book alone will cover everything a Thai Ridgeback Dog owner will need to know from the moment they locate and pick up their puppy, to every day life in the family, till death do us part. This fully illustrated book will help the individual owner with the good, the bad and the ugly of owning a Spitz Primitive Pariah-type dog, a dog that is as close to a wild dog as you can get in a domesticated animal. This book delves deeply into the dog’s origins, nutrition, health, personality traits, integration, and troubleshooting. 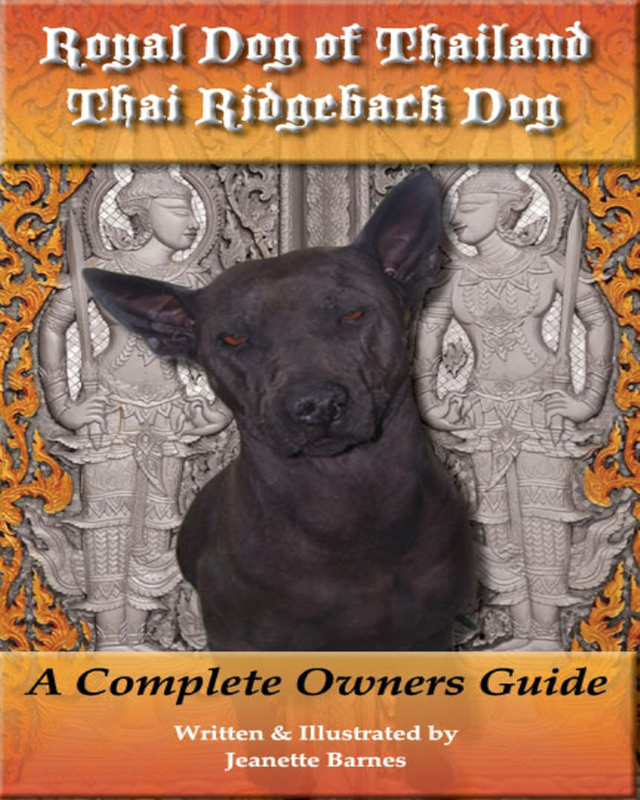 This book also contains Internet-based sites that will help individuals obtain products, health tips, and interaction with other Thai Ridgeback Dog owners and breeders. This book will become the go to book for all TRD owner needs.